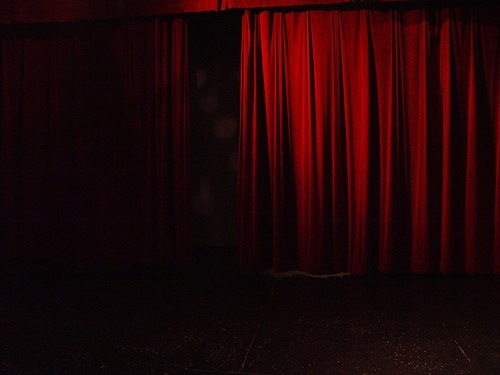 Is Your Nonprofit Theater Headed for its Final Curtain Call? Have you ever heard the phrase, “It’s a community’s duty to support its local arts programs?” Though this scenario might be ideal, the model on which it’s founded is failing. As a result, many nonprofit groups and organizations, such as theaters, are being forced to shut down. According to Theatre Communications Group’s (TCG) 33rd Annual Research Report, 2012 saw positive trends in individual giving and foundation support. However, average working capital—the unrestricted resources available to meet day-to-day obligations and cash needs, and a fundamental building block of a theater’s capital structure—was negative and grave cause for concern in each of the past five years, becoming increasingly severe in 2009 and 2010, improving somewhat in 2011, and declining again in 2012. Now more than ever, we have to find creative ways to generate revenue and ensure longevity on our own. Unfortunately, most nonprofit theaters suffer from old-fashioned thinking, in that they rely too heavily on development as opposed to revenue generation. It’s time to throw the old model out the window and start thinking like a private entity. The primary goal should not be to fundraise, but to generate unrestricted revenue sufficient to meet and even exceed operating expenses such that you have reserve funds and recapitalization money. If you have your financial house in order and a strategic business plan, you might actually start attracting donors because they can see their money being put to good use. Utilize all spaces within your facility to close the gap on non-operating hours and generate additional income. For instance, can your parking lot be rented out during the week when it’s not in use, or can your venue be rented between performances for things like festivals, film or photo shoots or video production? We have multiple spaces within our facility that are available for rent, so we built an internal staff to focus on booking private events. Our Private Events team now generates 12 percent of our revenue, which helps fuel our restoration projects as well as our marketing efforts. Know your limitations and exactly what your facility can accommodate. For example, as a 4,600-seat theater, we had to come to terms with the fact that we cater primarily to popular entertainment as opposed to fine arts. As a result, we book many current artists who are on the rise, but not yet big enough to play arenas. Seek and apply the advice from private entities such as sports arenas and other entertainment venues, even if they are in an unrelated field. We have learned a great deal from various sports arenas, specifically when it comes to our ticketing and marketing strategies. For instance, we looked at Major League Baseball’s tickets.com for inspiration when we decided to establish our own ticketing system. Also, I was fortunate to work with and learn from Olympia Entertainment, who managed the Fox Theatre in Detroit. They did an exceptional job of applying lessons in sports to theater. For example, in 1986, they were one of the first to allow food and beverages into the theater. They also turned their loges into 14 individual suites, which came with meal and waitress service and a private entrance, and they offered specialized parking options. Be willing to admit when you can’t do it all. For instance, we made the decision last year to retain a marketing agency to gain expertise in marketing, public relations, media buying, and digital strategy, as well as expand our resources and manpower. Previously, we had been doing everything on our own, but we realized that in order to grow our business, we needed outside help. Working with an agency has afforded us the opportunity to increase our bandwidth less expensively than it would have been to hire in-house experts with individual salaries. Keeping payroll costs under control is important, since according to the Theatre Communications Group, payroll accounted for 54% of total expenses in 2012 for theaters. Remain flexible and entrepreneurial-focused. We are constantly pushing the envelope to see how far we can take an idea. Just last spring, we launched weekly, in-house tours of our historic theater. Since then, we have created specialty tours to coincide with our annual movie festival and holidays. So far, the Tours program has grossed to date $75,000 and we are at pace to generate $150,000 by year’s end.